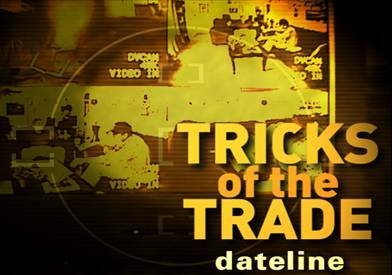 Chris Hansen from Dateline NBC devoted an entire hour on April 13, 2008 to the topic of equity-indexed annuities and the unscrupulous tactics sometimes used to sell them to seniors. Interestingly, my very first Money Guy podcast covered this exact topic. I based the discussion on an article in the December 14, 2005 Wall Street Journal titled, Why Big Insurers Are Staying Away From This Year’s Hot Investment Product.I’ve also had experience dealing with individuals who have been sold unsuitable products. In today’s show, I revisit the Wall Street Journal article, discuss my impressions of Dateline NBC’s recent investigation, and share my experience dealing with the fallout from inappropriately sold equity-indexed annuities. Postscript: In today’s show, I mentioned a widow who came to me after investing all of her liquid assets into equity-indexed annuities. Since many of you have asked, I’m pleased to report that there was an unexpected but happy ending. Most states provide a small window of time after an insurance contract is issued for the purchaser to change their mind. This individual fortunately came to me during this period and we were able to undo the damage. If we’d missed that window, I would have first recommended that she contact the corporate office of the insurance company that issued the product. Then, I would have suggested engaging a lawyer and filing a complaint with the state insurance regulator. Note: Please know I’m not trying to pick on insurance agents. I’m a big fan of insurance and always recommend dealing with a reputable agent as part of an overall financial plan. Unfortunately, many agents either don’t understand their products and appropriate uses or don’t care about doing what’s right for their client. My advice? Find a local agent you trust, check their credentials and references, ask specifically how they get paid, and challenge their advice with informed questions. Checking prices with an online service can also be helpful, but I prefer to do business with a real agent. In an emergency, you’ll find this can make a big difference. After listening to this pod cast, I just can’t help but to think what he would be saying now that the stock market has dropped 40% in the last year. Equity Indexed Annuities are about protection – not max growth. If you invest in an indexed mutual fund, you have a huge downside risk. This is not meant for seniors obviously due to the charges if you trying to pull the money out in the first 7 to 10 years, but for 40 to 55 years old who are savings aggressively (I said savings – not chasing returns) for retirement, these products have a place. You can find participation caps as high as 12-14% and 140% participation rates (so you get a higher than the index return as long as it is less than the cap).